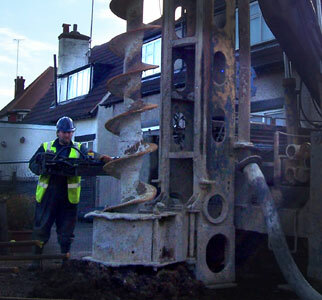 The Micropiling Group is a family run business established in 1973. From our head office in Letchworth, Hertfordshire, we provide a wide range of piling solutions and a fast and economic alternative to deep strip foundations. The in-house design team have developed specialist piling equipment specifically for use on sites where access is restricted. 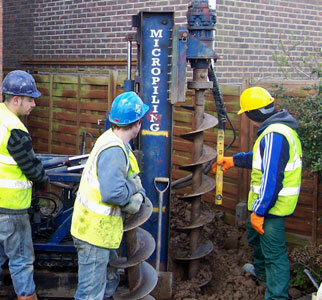 Whether piles are to be drilled driven, or grout injected or where traditional heavy rigs are unsuitable, Micropiling have the answer. With the current climatic changes and the increasing awareness of trees, foundation design is being more closely monitored, especially in the South East where clay sub-soils are prevalent. As a result foundation design has to meet more stringent criteria, for both Local Authority and NHBC approval to be granted. Micropiling are conveniently located to carry out piling projects in London and across the South from The Wash to the Isle of Wight. Head Office, Central Stores and Workshop are all within easy reach of the major routes in the area. The M1, M25, A1, A14 all provide fast access to projects in London and surrounding counties. We have however carried out projects as far afield as Devon and the far North East of England, as well as abroad and are happy to consider jobs anywhere. We understand how daunting dealing with a building project can be, especially piling which can be intimidating to even a seasoned general builder. We are happy to answer any questions you have to make sure you feel comfortable with what’s going on and will try and explain the industry terms and practises in plain english. Much of our machinery has been designed with the smaller home extension in mind and as a result many of our clients are homeowners. Although the name Micropiling suggests smaller diameter piles, we also have large machines to drill diameters suitable for large construction projects. Having carried out many large house, flats, industrial units and office building contracts over the years we have the experience, machinery and labour to deal with any job in a prompt, timely, competitively priced and professional manner. © Micropiling Group Ltd. All rights reserved.